This book seeks to highlight the monumental contribution of Kautilya to economic thought. The Arthashastra explicitly promotes the goals of both artha (material well-being) and dharma (righteous behavior) as a consistent whole and repudiates any deviation from them. A serious attempt is made here to revise the currently accepted history of economic thought. It is claimed that presentation of Kautilya's original contributions should succeed in dispelling the deep-seated myth that economics originated during the eighteenth century and Adam Smith was the founder of economics. A claim is only as good as the arguments it stands on. 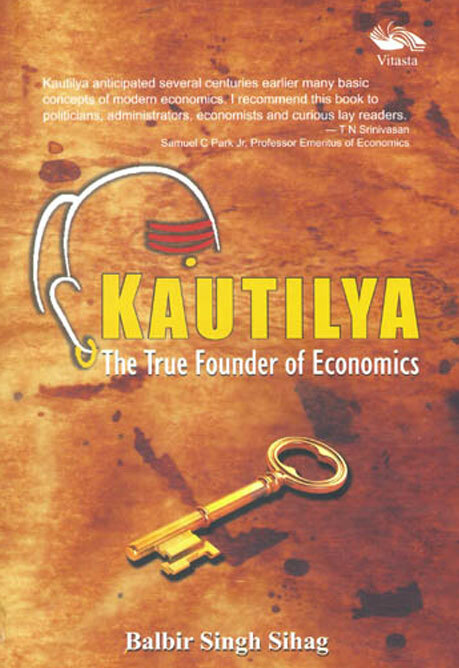 For the first time, strong arguments are provided by the author as to why Kautilya should be considered as the founder of economics in the fourth century BCE. It is also argued that Kautilya's The Arthashastra may be correctly designated as Dharmanomics: economics built on an ethical foundation, projecting economics and economic policy in a more meaningful and socially desirable perspective. The book also shows that the Hindu civilization is not averse to economic growth. Awarded merit scholarships in high school and college, Prof Balbir Singh Sihag received the Master's Degree in Economics from Punjab University, Chandigarh, ranking first in the university. He was awarded the UGC scholarship but chose to join the Indian Economic Service. He received PhD in Economics from Massachusetts Institute of Technology (MIT) and started teaching Economics at the University. For last twenty-two years, he has been Professor and now Emeritus of Economics at the University of Massachusetts. He has received Outstanding Research Paper Award and Best Teacher Award, and has published research papers in journals of international repute including Accounting Historians Journal, Growth & Change, History of Political Economy, Humanomics, Indian Journal of Agricultural Economics, International Journal of Hindu Studies, Indian Journal of Economics and Business, Indian Economic Review, Journal of History of Economic Thought, Journal of Public Economics and Quarterly Journal of Economics. The main spheres of his contribution comprise Accounting, Agricultural Economics, Economic Growth, Ethics and Economics, Finance, History of Economic Thought, International Trade, Labour Economics, Law and Economics and Public Finance. He has also presented research papers at numerous International conferences and has participated in seminars and symposia in USA and India. The present book is the outcome of his research on Kautilya spanning over a dozen years.